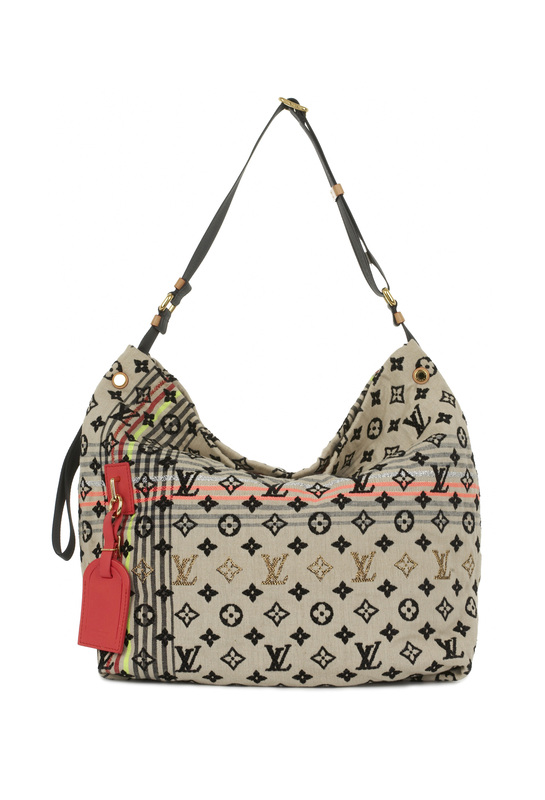 Louis Vuitton printemps 2010 canvas and leather tote bag. Magnetic clasp closing. 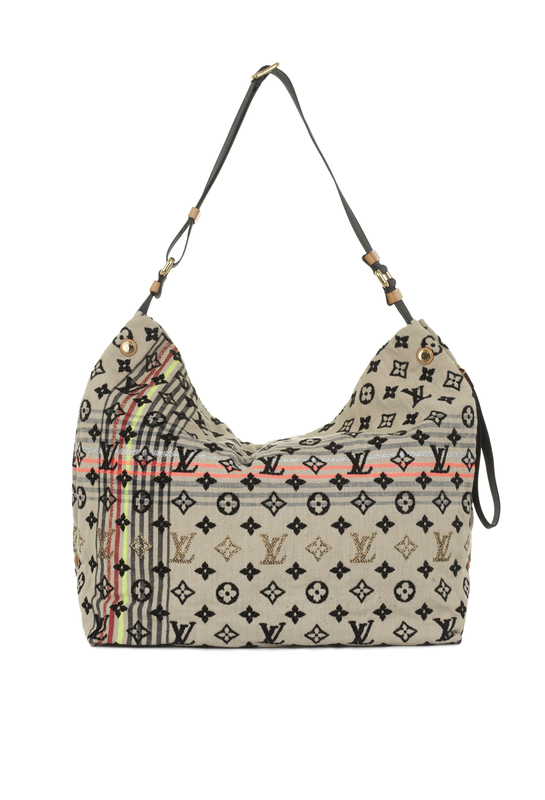 Canvas exterior with LV monogram design in black and gold embroidery. Coral leather and cotton interior with 2 side pockets. Black strap. Coral leather luggage tag.